If you owned an apartment building, wouldn’t you try to rent out every apartment to maximize your profits? Why then, do so many machine shops invest in new machine tools and state-of-the-art tooling only to use a small fraction of the available work space to machine parts? I see far too many shops throughout the world of manufacturing that are limiting their profit potential because of outdated thinking and traditional workholding. 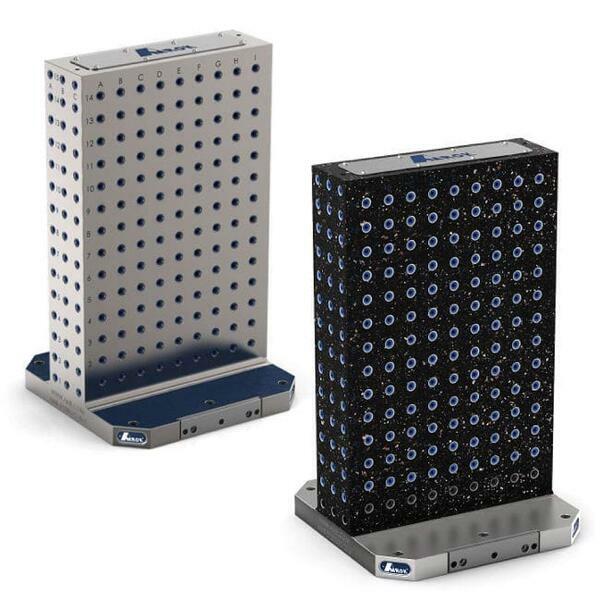 The one-at-a-time mentality prevents them from recognizing the benefits of modular fixturing systems and high-density set-ups. While the majority of machining takes place on the 0° and 180° angles, it's a shame to waste the dormant potential in the smaller faces. Use the 90-degree and 270-degree faces of rectangular or double angle tombstones to maximize the overall work space. Our machinists in Switzerland often program and run the first piece from multiple jobs to proof out the program (even on small run quantities). Once the program has proven successful, the operator loads the grid plate or tombstone on all four faces with raw material for those jobs, letting the cycle to run unattended into the night. Let go of the thinking that limits you to one operation or one part per each face of the tombstone, and instead, think about how you can maximize your work space with mixed workpiece set ups that allow you to run different parts at the same time. 3. 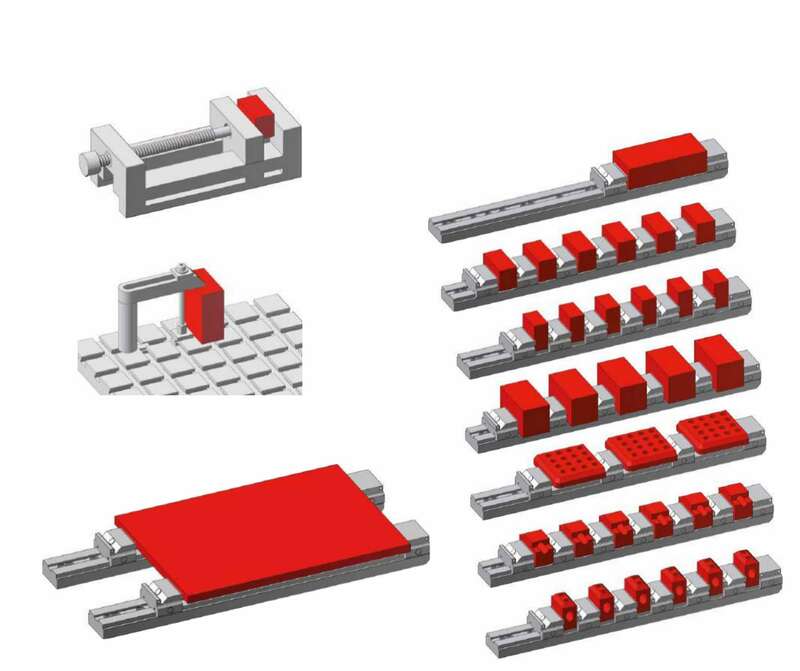 Save space with modular fixtures and smaller, more compact clamps instead of heavy and bulky vises. How much of your available space is made up of the vise and how much is occupied by the workpieces that are actually being machined? Savvy shops recognize the value of compact clamps to improve the vise-to-workpiece ratio. 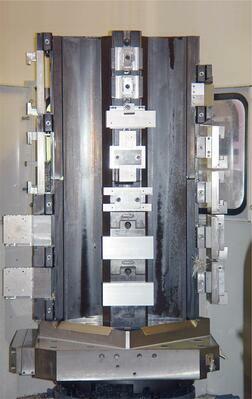 A large tombstone fully loaded with vises and workpieces often exceeds the weight limit of the machine table. Many manufacturers move to aluminum to solve the weight problem, but aluminum can create a different problem — increased vibration. The vibration challenge is especially problematic the higher up the tombstone you go. The quality problems at the top of the tombstone cause many manufacturers to avoid clamping parts up there which limits their ability to use the full working envelope. 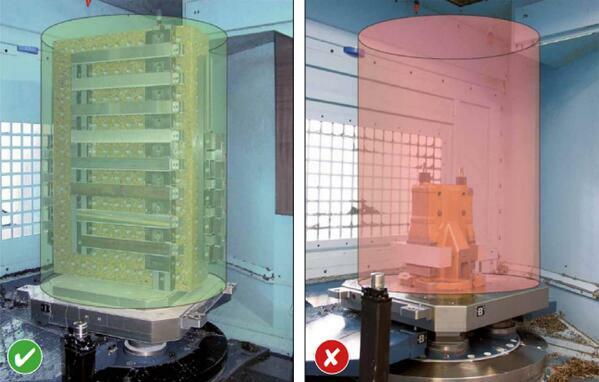 This vibration and weight paradox led to the development of Epoxy Mineral tombstones which have the weight benefits of aluminum with very strong vibration damping properties. Epoxy mineral tombstones also have low thermal expansion properties. Please don't ask a talented machine operator to spend his day opening and closing the door of the machine tool just to load and unload a single part with a low cycle time. A big part of using the entire capacity of the machine is using the entire mental capacity of your machinist. 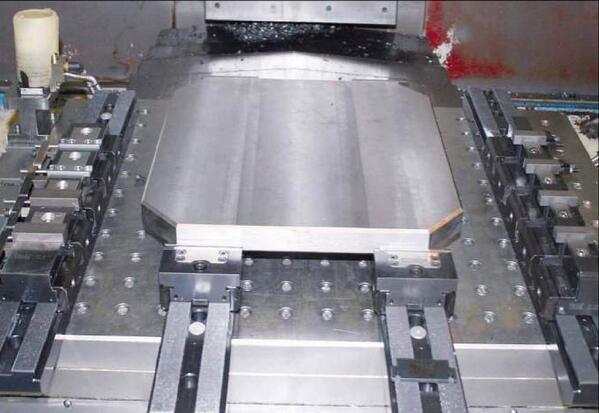 High-density workholding lengthens the cycle time and opens up opportunity for machinists to run more than one machine or use the time in between cycles to set up the next job. The best manufacturing leaders work to keep the minds of machinists running in the same way that they work to keep the spindle of the machines turning. Do it to improve efficiency and to promote a high-profit culture of continuous improvement. The beginning of this tech tip video from Haas Automation illustrates my point about eliminating wasted time by using multiple vises in a single cycle, but with one big difference. The video suggests collecting a random selection of vises from the shop, instead I would suggest incorporating a standard modular workholding platform with the appropriate clamping components and building on a consistent platform from there. I do happen to be the CEO of Triag International AG, and I have spent my career developing a flexible workholding system for utilizing the entire machining envelope.